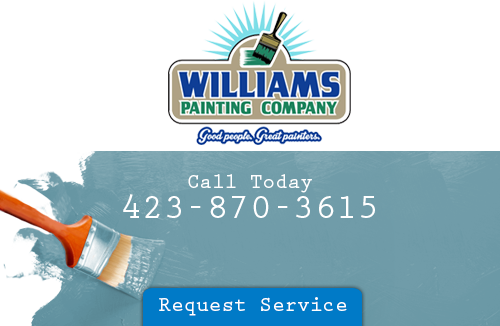 Williams Painting Company is your trusted Chattanooga source for all residential and commercial painting needs. Founded in 1989 by Joe Williams we have over 20 years of experience specializing in top notch service and quality on a variety of painted surfaces. From homes and churches to commercial kitchens and apartments we have worked on wide variety of projects giving us a large breadth of knowledge on how to get just about every job done clean, quick, and perfect. Put our experience to use for you on your next painting or staining project, call us today! 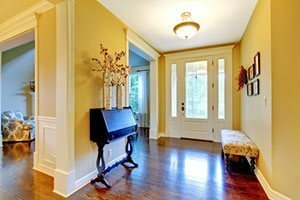 Every room of your home has a unique style and with our interior painting services the color can match that style and mood with ease. All you have to do is pick the color and let us do the work. Your home can be filled with the beautiful warm glow of fantastic color all over. Call us today to see how a professional can brighten the mood of your home’s interior paint job. A fresh coat of paint on the exterior of your home does wonders for not only the look, but it also protects and defends it from the elements . 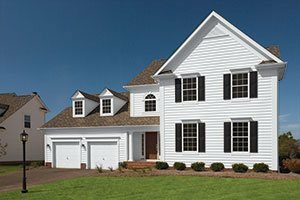 If you have not had your home’s exterior painted in the past four years or more you could be exposing it to pest, mold, mildew or worse. The best part of our exterior painting service is it gives your home a fresh start and a new look. Call us today and see how your home’s first line of defense can look new again. If you are looking for a Chattanooga painting company, please call 423-870-3615 or complete our online request form.